At e-Placement Scotland we are delighted to announce our partnership with The Data Lab Innovation Centre to deliver industry placements for the The Data Lab MSc programme during Summer 2016. This scheme is a collaborative effort between Robert Gordon University, The University of Dundee, The University of Stirling and The Data Lab, with the aim of developing Data Science talent and skills required by industry in Scotland. These courses prepare students for a career in data science, which includes a variety of roles in a broad range of industries including the public sector, digital technologies, energy and utilities, and financial services. Established with a £11.3 million grant from the Scottish Funding Council, The Data Lab enables industry, public sector and world-class university researchers to innovate and develop new data science capabilities in a collaborative environment. 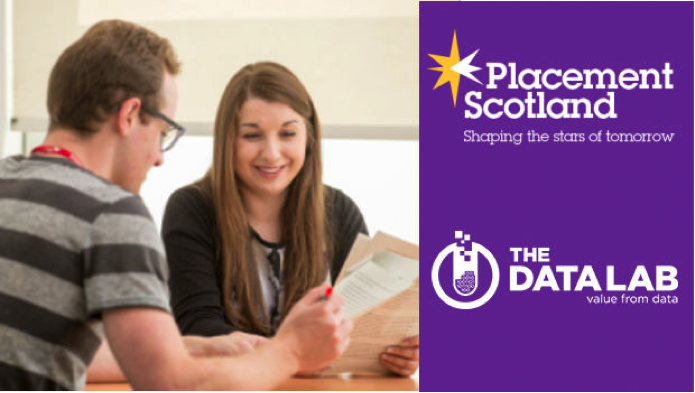 If your business or organisation can offer a summer 2016 paid placement and a quality project that can be examined for a talented data science student, don’t hesitate to contact e-Placement Scotland, as there are only 40 students available for these placements. Over the past four years, e-Placement Scotland has successfully created over 1000 paid IT placements including, data science roles. Companies to submit project proposals - a template and sample project will be provided. Student matching and interviews conducted by employers. After the projects have been completed students will be available for permanent work should there be a long term opportunity within your organisation, however must return to university for one day only to graduate. For further information about this partnership please contact Jamie Duncan.